Sarcone's Deli closes after 20 years on Ninth and Fitzwater streets in South Philadelphia. 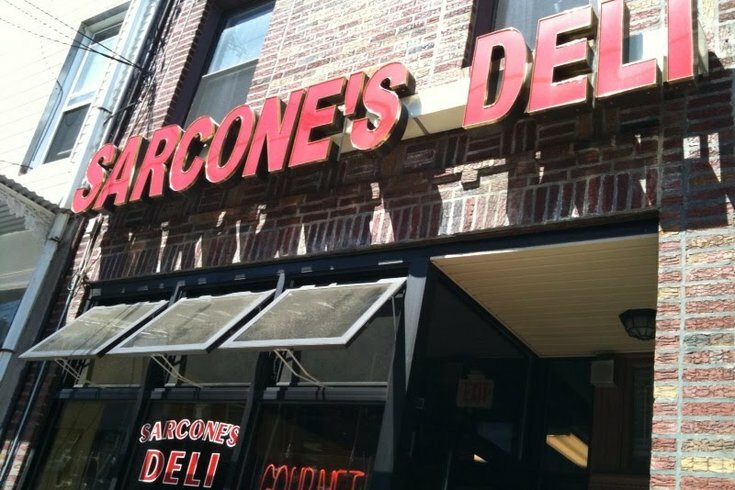 Sarcone's Deli, an Italian Market hoagie destination for 20 years, has closed its doors. Owner Anthony Bucci said he has a heart condition and that he can't "do it any longer" in a post on the shop's Facebook page Friday. "This is hard for me to walk away but my health is all I have," he wrote. Angelo's Pizzeria of Haddonfield, New Jersey confirmed a Philly.com report on Facebook Saturday, saying it plans to move into the South Philadelphia shop on Ninth and Fitzwater streets by the fall. "We are not leaving Haddonfield, our lease is good until May," the pizzeria stated. "Hopefully we'll stay in our current location or find a new spot in the immediate area." Bucci's first cousin, Louis Sarcone Jr., owns Sarcone's bakery a half-block down on Ninth Street. He and Bucci opened Sarcone's Deli in 1997, but management split a few years back. The bakery said as much in a Facebook post last week when it wrote to "clear up the confusion" between the two businesses. "Since then, they went in very different directions," the post wrote of the split. "While the deli is now undergoing some issues, we want to assure you that the bakery isn't going anywhere. We will continue to improve & keep our high standards. We are excited for the next chapter for that building."